I've been told that the London Eye is not a Ferris Wheel because Ferris was a Frenchman and the French and the British have their differences. So don't called it a "Ferris Wheel." 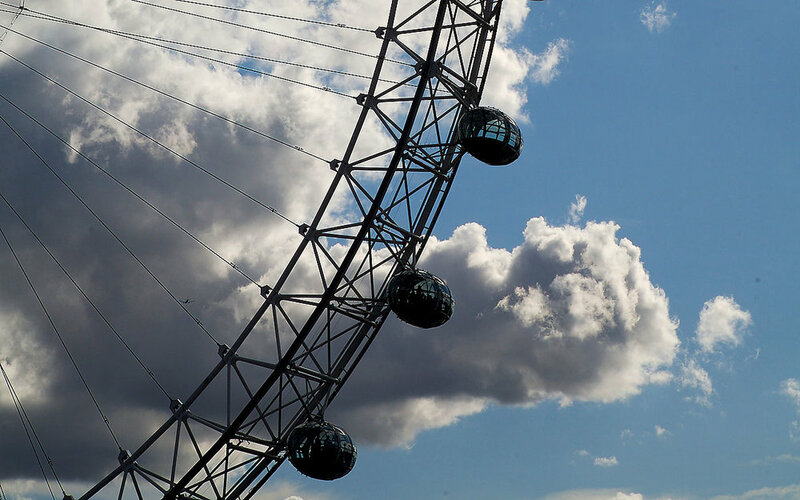 Whatever you call it, the London Eye is an impressive feat of engineering and technology. And it offers a very comfortable Ferris-Wheel-Like ride. It was expensive (over $20); but it is certainly worth it. The clouds in the background add interest to this photo. Another things that is interesting to me is the tiny airplane that seems to be flying through the spokes.